Wood- and coal-fired fire tube boiler with one furnace. 6 bar. 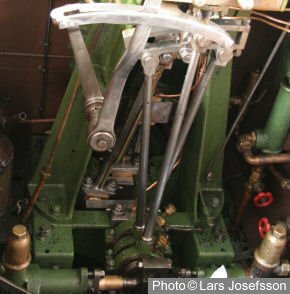 Single cylinder engine with Stephenson's link-motion. Wood- and coal-fired fire tube steam boiler with one furnace. 6 bar. 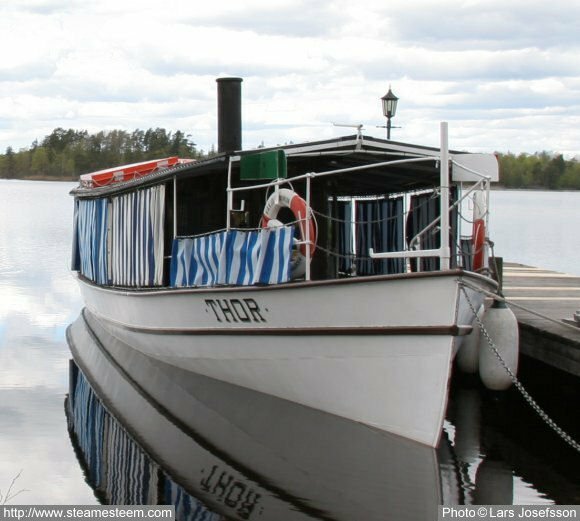 The measures of Steamboat Thor differ so much and the steamboat hull is all-welded so I guess this is a copy of the original steamboat. In a 1887 steamboat it should be at least some rivets left. 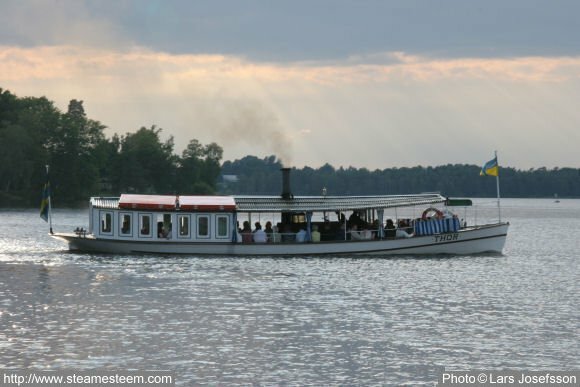 Steamboat Thor moored to the bridge by the Kronobergs ruined castle. 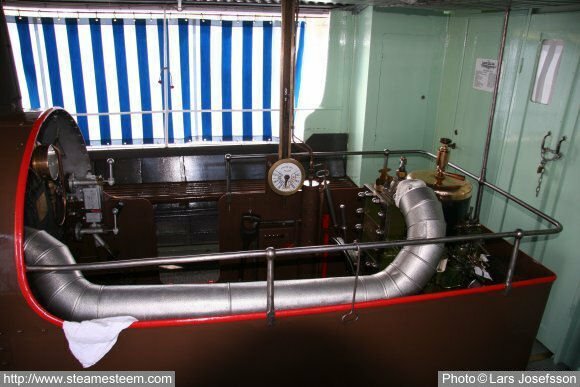 The Steamboat Thor entire engine room is a space behind a fence where the engineer operates the engine and the boiler. 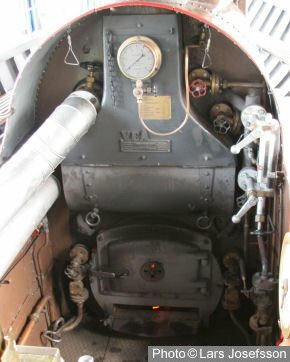 At the lower part of the picture is the main steam pipe from the boiler to the engine. It's a good bet that the steam pipe was red-panted in the old days. The fire tube steam boiler with one furnace. Just ignited, one hour before departure. 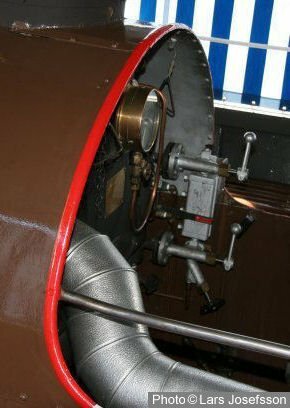 Stephenson's link-motion and the expansion slide valve. A. The normal slide valve. B. The expansion slide valve. The expansion slide valve's eccentric is 180° before the crank and therefore the expansion slide valve closes the steam passage to the cylinder before the normal slide does. Turning the expansion eccentric rod will adjusted the expansion slide valve plates to increase or deceases the expansion. Not many steamboats have this expansion slide nowadays.